14 Days to Save The Gulf of St. Lawrence ~ urgent action! Take Action Now to Protect Blue Whales and The Gulf of St. Lawrence! It’s like a bad dream that you can’t wake up from. The company that has wanted to drill in the Gulf of St. Lawrence for nine years, the same company responsible for seismic testing while the endangered blue whale was migrating, wants a new license. This in spite of numerous calls for a moratorium on all oil and gas development in the Gulf of St. Lawrence and an historic statement from the Chiefs of the Mi’qmawei Mawiomi calling for a 12-year moratorium on oil and gas in The Gulf. We need to wake up from this nightmare. It is up to the federal Minister of Natural Resources, Bill Carr and the Newfoundland and Labrador Natural Resources Minister Siobhan Coady to make this stop, and they will receive your comments and letters until October 17th in response to this request for a new license. The Gulf of St. Lawrence is one of the most precious marine ecosystems we have. Given the federal government’s commitment to better environmental regulation and protection of our oceans, it’s time to declare the Gulf of St. Lawrence off limits to oil and gas and to start making good on promises. Please send your letter today! The Prince Edward Island chapter of Save Our Seas and Shores (SOSS PEI) protests the proposed issuance of a new exploration licence to Corridor Resources to replace the licence it has held since 2008 (Exploration Licence No. 1105) for the same lands. SOSS PEI urges you to refrain from approving issuance of this new licence to Corridor Resources. Exploration Licence No. 1105 was issued on January 15, 2008 for the Old Harry prospect in the Gulf of St. Lawrence, located mid-way between the Magdalen Islands and the west coast of Newfoundland. This four-year licence was extended in 2011, 2013 and most recently on January 4, 2016. In January 2017, Licence No. 1105 will reach the maximum non-renewable term of nine years. We note that, for each extension, the Canada-Newfoundland and Labrador Offshore Petroleum Board (the NL Board) waived the $1 million deposit required for a licence extension. In its notice in the Canada Gazette (2016-09-17), the NL Board proposes to issue the new licence pursuant to paragraph 61(1)(b) of the Canada-Newfoundland and Labrador Atlantic Accord Implementation Act, S.C., 1987, c.3, and paragraph 60(1)(b) of the Canada-Newfoundland and Labrador Atlantic Accord Implementation Act, R.S.N.L. 1990, c. C-2. These paragraphs state that the board may issue an interest without making a call for bids where “the board is issuing the interest to an interest owner for the surrender by the interest owner, at the request of the board, of another interest or a share of another interest, in relation to all or a portion of the offshore area subject to that other interest.” In this case, the NL Board is proposing a new licence for “the same lands as those associated with Exploration Licence No. 1105” (as stated in the Canada Gazette), not for “another interest or a share of another interest.” Such a misuse of the provisions of the Act to circumvent the nine year maximum term of a licence should not be permitted. The notice in the Canada Gazette states that the new licence “will provide appropriate time for a robust review process…” We note that the NL Board has had plenty of time to initiate a robust review process. In August 2011, the NL Board contracted with former New Brunswick Ombudsman Bernard Richard to carry out an independent review of the Old Harry project, then in February 2012 terminated his contract, without justification, before any public consultations were held. Since then, the NL Board has dragged its heels despite numerous inquiries asking when and how these consultations will be carried out. The issuance of a new licence to Corridor Resources to cover for the NL Board’s inexplicable failure to conduct a review or the required public and Aboriginal consultations would be an abuse of process. We note that, in a Canadian Press article printed in the Charlottetown Guardian on September 17, 2016, the Natural Resources Canada spokesperson is quoted as saying that the government will take into account feedback received through the Canada Gazette process in deciding whether to approve the new licence. We strongly urge you to take our concerns into account and refuse to approve the new licence for Corridor Resources on the Old Harry prospect. SOSS is a coalition of fishing organizations, environmental and tourism groups, coastal landowners, First Nations organizations, and individuals who are concerned that the ecologically rich and diverse Gulf of St. Lawrence, home to over 4,000 marine species, is particularly sensitive to any disturbance caused by seismic surveys, exploration and drilling for oil and gas. Opponents say it’s about time the federal government intervened to protect the area. CALGARY—A regulator’s proposal to give more time to an energy company that wants to drill in the Gulf of St. Lawrence is provoking anger from opponents who say it’s high time the federal government intervene to protect the area. The Canada-Newfoundland and Labrador Offshore Petroleum Board said Friday it is proposing to grant Corridor Resources a new four-year exploration licence in an area known as Old Harry because there isn’t enough time to complete consultations and an environmental assessment before its current licence expires Jan. 14. “We’re reeling, absolutely reeling,” said Mary Gorman, co-founder of the Save our Seas and Shores Coalition, which has been pushing against the Halifax-based company’s drilling plans for the nine years it has had a licence for exploratory drilling in Old Harry. The Save Our Seas and Shores Coalition and other environmental and First Nation groups have been calling for a moratorium to prevent offshore oil drilling in the Gulf of St. Lawrence over concerns of the potential effects a spill would have on the area’s sensitive ecology. The federal government could not immediately be reached for comment. The board, which regulates Newfoundland’s offshore oil industry, said its proposal would give it the time needed to conduct a review of drilling in Old Harry. The proposal requires the approval of the provincial and federal governments. Provincial Natural Resources Minister Siobhan Coady said in a statement that the government will take time to consider it. Corridor Resources did not respond to multiple requests for comment. The federal government has estimated that the Gulf and surrounding areas potentially hold 39 trillion cubic feet of natural gas and 1.5 billion barrels of oil. The Old Harry site is located about 80 kilometres off the southwest tip of Newfoundland. As lobster season gets underway Tuesday in Cape Breton, a top local fisherman is warning that oil exploration and drilling in the Gulf of St. Lawrence could wreak havoc on local marine life. “It could ruin our industry,” said Jordan MacDougall, president of the Inverness South Fisherman’s Association. He warned that any oil spill would settle on the seabed — prime lobster habitat — and devastate their populations. “You wouldn’t be able to sell your product and it would probably give Canada a negative name for that product from other areas,” said MacDougall. His comments come just four months after regulators granted a one-year extension on an oil exploration licence for Corridor Resources Inc. at the Old Harry site off the western coast of Newfoundland, in the Gulf of Saint Lawrence. But some warn that drilling for oil at Old Harry may detonate a ticking time bomb. According to the David Suzuki Foundation, a 10,000-barrel oil spill at Old Harry in winter would hit the coasts of Cape Breton, Prince Edward Island, New Brunswick, and Les Iles de-la-Madeleine, which belong to Quebec. Simulations at other times of year also predict oil hitting the west and southern coastline of Newfoundland. The areas that would be worst-affected by any spill would likely vary between seasons, but the Gulf of Saint Lawrence’s prevailing current runs anti-clockwise, which would push oil away from the open Atlantic and potentially endanger all five provinces bordering it. “The Gulf of Saint Lawrence should be off-limits for drilling because it’s an extremely valuable marine area in terms of fisheries — lobster, tuna, snow crab, as well as herring,” said federal Green Party leader Elizabeth May. She also said the gulf was home to several species of endangered whales. 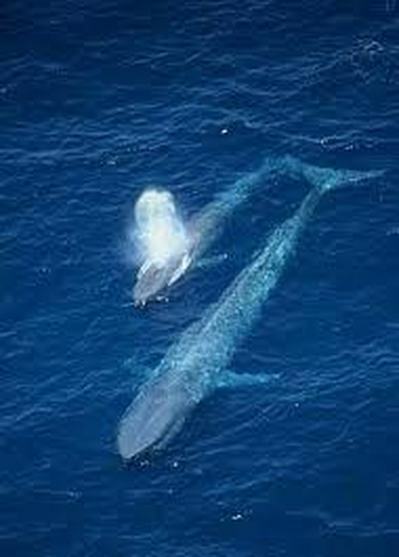 The Species at Risk Public Registry lists blue whales as living in the gulf. The Alternative Journal also listed belugas as endangered in late 2014 after their numbers in the Saint Lawrence estuary and gulf dropped below 1,000. “It’s really critical that we have protection of the Gulf of Saint Lawrence,” said May. But she said that needed environmental protections were stripped away by the former Conservative government when it passed C-38 in 2012, an omnibus bill that reduced protections for Canadian fisheries and fish habitats. Protection is now limited to only commercial, recreational or First Nations fisheries. Furthermore, the new law forbids only the killing of fish or the permanent altering of their habitats. C-38 also included a new Canadian Environmental Assessment Act, replacing a stricter law that was passed in 1992, according to the Environmental Law Centre (ELC). The 2012 act removed the requirement for a federal environmental assessment for all development projects. Even in cases when a project is designated by regulation, C-38 allows the Canadian Environmental Assessment Agency to determine that an assessment is not required. Secondly, the federal government may decide not to conduct its own environmental assessment of a designated project on the basis that the project is being assessed provincially, which the ELC maintains is a delegation of federal power and jurisdiction to the provinces. This leaves provincial agencies such as the Canada-Newfoundland & Labrador Offshore Petroleum Board (CNLOPB) and the Canada-Nova Scotia Offshore Petroleum board free to conduct their own assessments without referring to the federal cabinet, according to May. “The rest of Canada is not paying attention to these smaller agencies that got power to do environmental assessments under Harper,” said May, who added that C-38 had to be repealed by the present Liberal government. May also criticized the renewal of Corridor Resources Inc.’s oil exploration licence for free in January. “It’s the fourth year they’ve gotten it for free,” said May. However, the CNLOPB said that environmental protection was a top priority when reviewing applications for oil drilling in areas like Old Harry. “The Canada-Newfoundland & Labrador Offshore Petroleum Board delivers world-class regulatory oversight with safety and environmental protection as our top priorities. “A comprehensive strategic environmental assessment update was completed for the Western Newfoundland Offshore Area in 2014, and a project-specific environmental assessment would also be required prior to authorization of a drilling program under the board’s jurisdiction,” said board spokesman Sean Kelly in an email. He added that other obligations had to be met regarding installations, training and competency, emergency response plans, financial capacity and the industrial benefits of a proposed program. The Herald tried contacting both Fisheries and Oceans Canada and Corridor Resources Inc.’s CEO Steve Moran for more information but was unable to reach them by late Tuesday afternoon. I am writing of behalf of the Prince Edward Island chapter of Save Our Seas and Shores (SOSS PEI). SOSS is a coalition of fishing organizations, environmental and tourism groups, coastal landowners, First Nations organizations, and individuals who are concerned that the ecologically rich and diverse Gulf of St. Lawrence, home to over 4,000 marine species, is particularly sensitive to any disturbance caused by seismic surveys, exploration and drilling for oil and gas. As you know, for the third time in the past four years, the Canada-Newfoundland and Labrador Offshore Petroleum Board (the NL Board) has granted a one-year extension to Corridor Resources exploration licence on the Old Harry prospect in the Gulf of St. Lawrence, located mid-way between the Magdalen Islands and the west coast of Newfoundland. Citing regulatory factors as its reason, the NL Board also waived, for the third time in four years, the $1 million deposit required for a licence extension. The “regulatory factors” the NL Board referred to is the requirement for public and Aboriginal consultations which the Board must hold as part of the environmental assessment for this project. In August 2011, the NL Board contracted with former New Brunswick Ombudsman Bernard Richard to carry out an independent review of the Old Harry project, then in February 2012 terminated his contract, without justification, before any public consultations were held. Since then, the NL Board has dragged its heels despite numerous inquiries asking when and how these consultations will be carried out. Even now, the NL Board in its January 15, 2016 news release, says it will announce plans for consultations with Aboriginal groups and the public “at a later date”, not sometime soon. Does the Board intend to keep on delaying the consultations indefinitely and continue to give Corridor Resources free licence extensions? The current licence extension for Corridor Resources is just one in a series of irresponsible, biased actions and decisions on the part of the NL Board. In 2012, the Board contracted with AMEC Environment and Infrastructure to update the Strategic Environmental Assessment (SEA) of the Newfoundland portion of the Gulf of St. Lawrence. The purpose of the SEA was to assist the Board “in determining whether further exploration rights should be offered in whole or in part for the Western NL Offshore Area.” During the time the SEA was being conducted, the NL Board issued a call for bids for licences, including licences within the Gulf. Clearly, the Board assumed that further exploration rights would be offered in the Gulf, regardless of the findings of the SEA. In addition, the Board concluded that suggestions that petroleum exploration activities in the Gulf should cease were policy decisions not within its mandate, despite the fact that the purpose of the report was, as noted above, to assist the Board in deciding whether to continue offering exploration rights in the NL portion of the Gulf. As you know, to date only two of the five Gulf provinces have set up Offshore Petroleum Boards: Nova Scotia and Newfoundland and Labrador. The Nova Scotia Board ceased any activity in the Gulf after a public review panel responded to public and Aboriginal concerns in 1999. If the NL Board did not have a pro-petroleum industry bias, it would also cease all activity in the Gulf. The roles of the NL Board are to facilitate the exploration and development of hydrocarbon resources in the NL Offshore and to protect the environment and worker safety. As noted in the Wells Report of 2010, these are conflicting roles. Clearly, the NL Board shows by its actions and decisions that protecting the Gulf ecosystem is not a priority. We believe that the federal and NL governments have abrogated their responsibilities to oversee the decisions of this appointed body. Decisions, including the recent free extension of Corridor Resources licence, appear to have been rubber-stamped by the federal and NL Ministers of Natural Resources. Only NL benefits from oil and gas exploration and development in the Gulf, while the other four Gulf provinces share the risks. The protection of marine species and the rights of the First Nations, fishers, and other residents of the Gulf provinces to protect the Gulf ecosystem and pursue their livelihoods are being ignored. In light of the failure of the Canada-Newfoundland and Labrador Offshore Petroleum Board to act in a responsible manner, SOSS PEI is calling on the federal and Newfoundland and Labrador governments to remove the Board’s mandate pertaining to offshore oil and gas exploration and development activities in the Gulf of St. Lawrence. Defenders of the Gulf of St. Lawrence who live on Prince Edward Island are telling James Carr, Canada’s Minister of Natural Resources, and his provincial counterpart in Newfoundland and Labrador Siobhan Coady that it is time to pull the plug on the C-NLOPB. In light of the failure of the Canada-Newfoundland and Labrador Offshore Petroleum Board to act in a responsible manner, SOSS PEI is calling on it’s members to write to the Ministers to demand that the federal and Newfoundland and Labrador governments to remove the Board’s mandate pertaining to offshore oil and gas exploration and development activities in the Gulf of St. Lawrence. See SOSS PEI full letter to federal Minister James Carr, and NL Minister of Natural Resources Siobhan Coady here. I am writing to express my support for the letter you recently received from SOSS PEI regarding the Canada-Newfoundland and Labrador Offshore Petroleum Board (C-NLOPB) and the Gulf of St. Lawrence. As outlined in the letter, the C-NLOPB has shown by its actions and decisions over the past several years that it is failing to carry out its responsibility to protect the Gulf environment. As Ministers responsible for the C-NLOPB, please act to remove the Board’s mandate pertaining to oil and gas exploration and development activities in the Gulf of St. Lawrence. Mary Gorman of the Save Our Seas and Shores Coalition (SOSS), speaks passionately for protecting the Gulf of St. Lawrence at Pa’qtnkek Water Ceremony with Ethan Hawke, October 26, 2015. For the third time in the past four years, the Canada-Newfoundland and Labrador Offshore Petroleum Board has granted a one-year extension to Corridor Resources exploration licence on the Old Harry prospect in the Gulf of St. Lawrence and waived the $1 million deposit required for a licence extension. This extension was granted because the board has not conducted the public and Aboriginal consultations required as part of the environmental assessment for this project. For the past two years, the board has dragged its heels despite numerous inquiries asking when and how these consultations will be carried out. Does the board intend to keep on delaying the consultations indefinitely and continue to give Corridor Resources free licence extensions?. The current licence extension for Corridor Resources is just one in a series of irresponsible, biased actions and decisions on the part of the board. In 2012, the board contracted with AMEC to update the Strategic Environmental Assessment (SEA) of the Newfoundland portion of the Gulf. The purpose of the SEA was to assist the board “in determining whether further exploration rights should be offered in whole or in part for the Western NL Offshore Area.” While the SEA was being conducted, the board issued a call for bids, including for licences within the Gulf. Clearly, the board assumed that further exploration rights would be offered in the Gulf, regardless of the findings of the SEA. Only two of the five Gulf provinces have set up Offshore Petroleum Boards: Nova Scotia and Newfoundland and Labrador. The Nova Scotia Board ceased any activity in the Gulf in 1999. If the NL Board did not have a pro-petroleum industry bias, it would also cease all activity in the Gulf. The roles of the NL Board include facilitating hydrocarbon resource development in the NL Offshore and protecting the environment. As noted in the Wells Report of 2010, these are conflicting mandates. Clearly, the NL Board shows by its actions and decisions that protecting the Gulf ecosystem is not a priority. Given the failure of the NL Board to act in a responsible manner, Save Our Seas and Shores P.E.I. is calling on the federal and Newfoundland and Labrador governments to remove the board’s mandate pertaining to the Gulf of St. Lawrence. (OTTAWA) January 22, 2016 – Elizabeth May is standing alongside local community leaders to denounce the decision of provincial and federal regulators to give Corridor Resources Inc. a free pass for the third time at the Old Harry site, a proposed deep water oil well in the Gulf of Saint Lawrence. Community groups have long been calling for a full moratorium on oil and gas exploration in the Gulf of St. Lawrence. Corridor Resources Inc. had until Friday, January 22 to pay a $1-million deposit to extend their licence, but provincial and federal regulators agreed to waive that fee earlier this week – the third time this has happened. The local fishing industry is worth in excess of $1.5 billion, and tourism along the Gulf directly employs tens of thousands of people across multiple provinces. Against all odds, the Canada – Newfoundland and Labrador Offshore Petroleum Board (the Board), with the approval of both federal and Newfoundland Natural Resources ministers (James Carr and Siobhan Coady), extended Corridor Resources’ exploration license EL1105 on the Old Harry site for an extra year, a license that was set to expire last Friday January 15. This favour was granted without even requiring the mandatory one million dollars drilling deposit to obtain an extension. It is the third time in four years that Corridor obtains such a special privilege, a situation that is strongly denounced by the St. Lawrence Coalition. The Board justifies this exploration license extension by saying it is necessary in order to hold public as well as First Nations consultations. Yet, ex-Environment Minister Peter Kent had already asked the Board in August 2011, over four years ago, to hold such “extensive public consultations”. The Board did set up an inter-provincial consultation in September 2011, to be under the direction of Commissioner Bernard Richard, but it was canceled in February 2012 by the Board, without justification, a few days before it officially started. Danielle Giroux, president of Attention FragÎles and Sylvain Archambault, biologist (SNAP Québec) and spokesperson for the St. Lawrence Coalition. “The required consultations have still not been held. And now the Board dares to say that the extension is needed to perform consultations that they have been pushing forward for the last four years. This is disrespectful to all the citizens, scientists, fishermen, First Nations, who, for many years, have had deep concerns about the dangers of such offshore drillings” says Sylvain Archambault, biologist (SNAP Québec) and spokesperson for the St. Lawrence Coalition. In the Magdalen Islands, people are also distressed with this news: “The Corridor Resources drilling project, a mere 80 km from the archipelago, stirs up major concerns with numerous citizens and organizations on the islands. During the past few years, Magdalen Islanders have voiced regularly their opposition to the drilling project and their fears over the impacts of opening the Gulf of St. Lawrence to the oil industry” emphasizes Danielle Giroux, president of Attention FragÎles. “Corridor Resources is a junior company with no offshore experience and limited financial means. Even if the firm struggles to fulfill its license obligations and survives from extension to extension since 2008, it still holds two licenses on the Quebec portion of Old Harry, licenses currently under moratorium. Why would Quebec take enormous risks by lifting its moratorium and associating itself with a junior company struggling to keep its license in Newfoundland?” asks Christian Simard of Nature Québec. “The Gulf of St. Lawrence is host to great biological diversity and its durable fishing and tourism industries should be encouraged” says Jean-Patrick Toussaint, Science Project Manager at the David Suzuki Foundation. “For many years, numerous groups, citizens and scientists, have asked the federal minister of Natural Resources to work in a concerted manner with the five Gulf provinces to put in place a true integrated management of the Gulf. As a matter of fact, the federal government has recently committed to better protect Canada’s marine areas, including the Gulf of St. Lawrence. The federal government should invite the provinces to work together for better protection of the Gulf, rather than giving a free-pass to Corridor Resources” concludes Mr Toussaint. The St. Lawrence Coalition is composed of 85 organizations and associations, including First Nations, and over 5000 individuals from various economic sectors and the 5 coastal provinces. Members of the Coalition are calling for a moratorium on exploration and exploitation of oil and gas across the Gulf of St. Lawrence. The St. Lawrence Coalition is overseen by a steering committee composed of Attention FragÎles, the David Suzuki Foundation, Canadian Parks and Wilderness Society (CPAWS Québec) and Nature Québec. Help Defend the Gulf: Join Us! An oil spill in the Gulf will affect 5 provinces. Watch this video simulation by David Suzuki Foundation. Endangered blue whales feed in the Gulf of St. Lawrence along with thousands of other species. Learn more. Actor Ethan Hawke has strong reasons to support a moratorium. Find out why.